Patients and staff across NSW Health are set to benefit from a new radiology information system and picture archiving and communication system (RIS-PACS) which will improve the way in which more than 1.8 million medical images are captured, used and archived annually. Following a six-month proof of concept project, a contract has been agreed with Swedish-based Sectra to implement a modernised RIS-PACS platform across 11 NSW Health organisations – nine local health districts, the Sydney Children’s Hospitals Network and NSW Health Pathology’s Forensic and Analytical Science Service. The proof of concept project, which began in May 2018 following a competitive tender process, was undertaken to ensure the solution met the needs of healthcare professionals using it, as well as the needs of the patients for whom they care. The platform will provide more modern and improved services to patients, including SMS reminders for appointments and secure access to their images via an online portal. The offering by Sectra includes third-party vendors that make up the total solution. The platform includes; a Sectra picture archiving and communication system (PACS), a radiology information system (RIS) provided by the Australian-operated company Kestral, and critical result management system provided by Spok. Dr Zoran Bolevich, eHealth NSW Chief Executive and NSW Health Chief Information Officer, said: “This is a great example of working in collaboration with our NSW Health colleagues and industry partners in order to deliver benefits across the state for our clinical staff and for the patients for whom they care. What are the benefits of a new RIS-PACS platform? More than 1.8 million medical images are captured by the participating organisations every year, including x-rays, CT scans, MRIs, nuclear medicine scans and ultrasounds. These images need to be stored safely and be readily accessible for clinicians. Patient images will be accessible to clinicians working in different hospitals and in remote locations. For example, when a patient presents with symptoms that requires diagnostic imaging in a NSW public hospital, any related prior images captured in another hospital can be viewed by the treating and reporting clinicians. This has diagnostic benefits and also means patients will no longer need to carry films/images with them. Safety benefits, including critical results management and radiation dose tracking. Instant access to prior images to assist with diagnosis and referrals. Improved security of patient information by storing images on a secure and fully auditable system. Integration with other NSW Health systems to provide clinicians with a complete picture of the patient’s health status. Vendor-neutral archiving, meaning different types of images can be stored and readily retrieved without the need for conversion from proprietary formats. Provide patients with SMS reminders about forthcoming appointments, improving efficiency at hospitals. 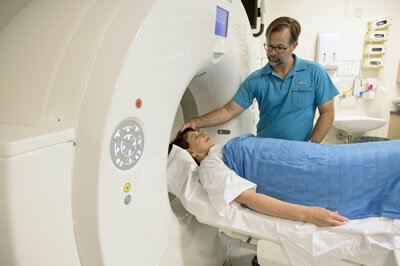 For more information, see medical imaging.